Discussion in 'Apple iPad News' started by iDan, Jul 5, 2011. On June 30, Samsung Electronics Co. filed a lawsuit against Apple Inc. 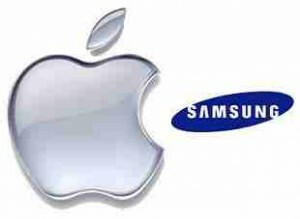 The underlying idea was that iPhone and iPad were copied by its Galaxy products. Through this action, Samsung intends to defend its patent rights. The Samsung spokesman, Nam Ki Yung, confirmed the firmâ€™s serious intentions to protect its intellectual property. He also stated the fact that the reason why they made this decision was "to streamline the legal proceedings". It is very well-known the fact that Samsung is the second most important producer of mobile phones in the world. On the other hand, Steve Park, a spokesman from the Apple Company, had nothing to add for the journalists of Bloomberg News. After the Cupertinoâ€™s first move in April against Samsung due to affinity between the Galaxy phones and iPhone or iPad product, now Samsung makes the second move through counter-suits.